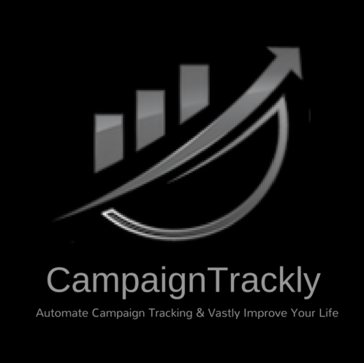 CampaignTrackly is a SAAS that fully automates the process of generating and managing UTM tags and tracking URLs for marketing campaigns. It significantly reduces tracking setup times and eliminates UTM tagging errors. This results in better analytics data, improved visibility to campaign performance and optimized budget utilization. "Amazing, focused, easy-to-use tool that helps me track my campaigns." I love that I can very easily create presets for content promotion and advertising purposes. The extension is very useful because it helps me get the link I want to track copy easily and fast, and it doesn't ruin my normal browsing experience. Nothing especially. Maybe if I could mark the link I used that would be even better. If you want an easy-to-use tool to generate tons of UTM parameterized links for content promotion, email link tracking, ad optimization, get started today. Save a lot of time and analyze your campaigns' results easily. I'M CMO at a company and this smart tool saves me tons of time and gives me very focused analytics. "Everything you need to track all your online campaigns, including robust reporting." Pre-selection of UTM parameters is excellent feature for consistency. Graphics in reports could be better, more colorful and rich. Can only recommend to give it a try. So far, we're very happy with it. As easy-to-use solution to consistently tag and track campaigns. Everyone who uses it follows the rules for greater identification and naming conventions. Very easy to work with, saves me a lot of time and it's free. helps me automate how I build tracking links for my campaigns. * We monitor all CampaignTrackly reviews to prevent fraudulent reviews and keep review quality high. We do not post reviews by company employees or direct competitors. Validated reviews require the user to submit a screenshot of the product containing their user ID, in order to verify a user is an actual user of the product. Hi there! Are you looking to implement a solution like CampaignTrackly?